UPDATE JULY 28: How did the suspect, charged with another knife attack and robbery, manage to get released from jail just six days before this incident? We tell you HERE. Our original story follows. Chicago police have confirmed that a North Avenue Beach volleyball league player was stabbed repeatedly as he walked near the Lincoln Park Zoo last Sunday evening. The victim’s Facebook post about the attack has been shared this weekend on Reddit. 27-year-old Michael Jerome Curry of Garfield Park faces one count of aggravated battery with a deadly weapon in the case, according to court records. His bail is set at $500,000. The victim said he was walking back to his car around 9:20PM Sunday after playing volleyball when he was “attacked by a random man and stabbed five times” near the intersection of Clark Street and Lincoln Park West in Lincoln Park. Curry was stopped and arrested by 18th district officers outside of the Lincoln Park Zoo’s farm exhibit at 1846 N. Stockton Drive about 15 minutes later. 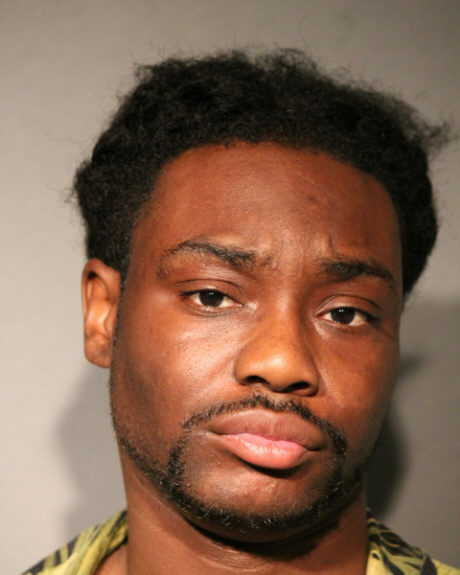 Less than a month before the Lincoln Park stabbing, Curry was arrested near the Chicago Avenue Red Line station and charged with two counts of armed robbery and two counts of aggravated battery in a public place, according to Chicago Police Department records. Court records that would show how Curry wound up back on the street after the robbery arrest were not immediately available this morning. You can support CWB's newsgathering efforts with a secure donation to our Tip Jar.